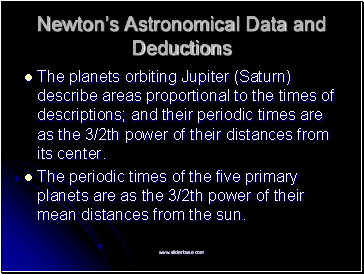 The planets orbiting Jupiter (Saturn) describe areas proportional to the times of descriptions; and their periodic times are as the 3/2th power of their distances from its center. 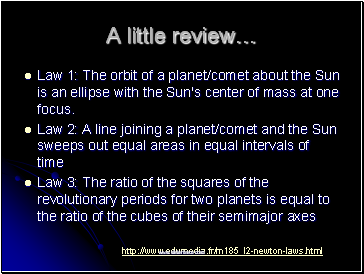 The periodic times of the five primary planets are as the 3/2th power of their mean distances from the sun. 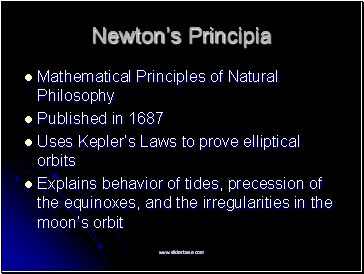 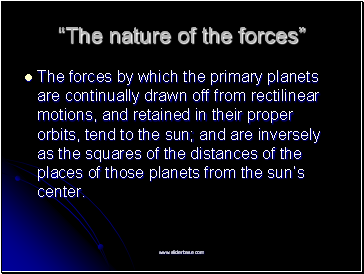 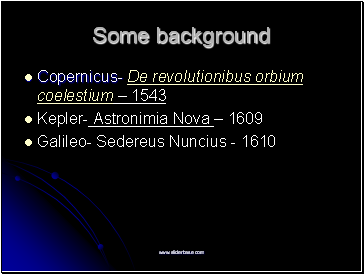 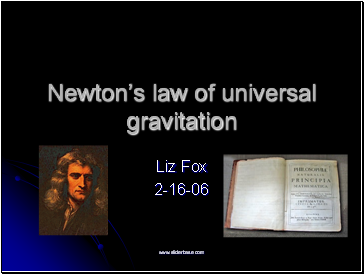 The forces by which the primary planets are continually drawn off from rectilinear motions, and retained in their proper orbits, tend to the sun; and are inversely as the squares of the distances of the places of those planets from the sun’s center. 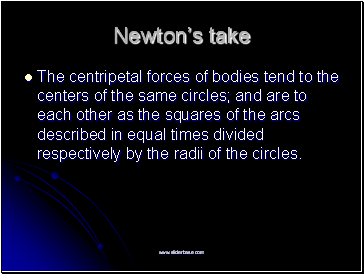 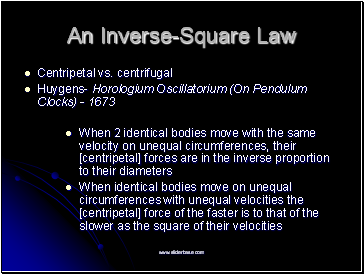 The centripetal forces of bodies tend to the centers of the same circles; and are to each other as the squares of the arcs described in equal times divided respectively by the radii of the circles.